I have kept to my words so I will not expect you to dissapoint me at long run when the u$5.5m finally hits your provided bank account you need to show some compesation/appreciation to me. Below here is the HSBC contact information you will need to write and call them aswell regarding your funds that was instructed for payout from UBA and this your forex payment allocation number these you will need to indicate in your email to HSBC. Ensure you indicate your full and contact information and reconfirm to them your banking cordinate just as you sent to me signal as already been sent from HSBC london to HSBC branches in the united states your name has being programm via online payment so they might pay you either from new york or washington it's absolutely very very important you always update me with your response between you and the HSBC I want to believe I am in the best position to guide and advice you better.Very important you contact the HSBC today as instructed above and keep me posted has I await your call. Be informed that your funds/file have been approved for payment from this payment centerBuffalo N.Y as deposited by the foreign remittance annex officeof our sister branch In Londonas directed by the presiding official in charge Mr. Babalola Samuel and since your fund is presently held in an investment transit holding account and our policies do not allow direct wire transfer out of an investment account until the holding financial instrument is liquidated by the brokered and finally moved to a customer checking account. This will then enable an immediate transfer of your funds to any account of your choice by using our integrated automated system of telephone banking system. In view of the forgoing, we strongly advise you to forward to us the attached contact details for re-confirmation. Also, send a scanned copy of your Driver's license or int'l passport for Identification purpose. Upon the receipt of the above required details. We shall start the processing of your fund transfer with minimum delay. For further details feel free to contact this office as our objective is to make sure you receive your entitlement. We thank you for your anticipated Co-operation while we await your response. Head Of Telephone Banking Dept. Your mail is seen and content well noted. But I have to inform you that there is NO way we can process your wire transfer without your complete bank details. Thus: you are to send your bank name, acct and routing numbers so that we can effect your funds transfer without any more delays. I wait for your response today. I need a day to day update from you it's important you update me between you and the hsbc I can only know the ongoing through you and you knowing that I am in the best position to advice you at any given time on what to do and what not to do very important you hasten up and comply with payment instruction's from hsbc as the financial payment year is fast coming to an end I await to read from you. Be informed that we have completed all process of opening a new account with the details you sent thus your fund has moved to a new customer checking account. 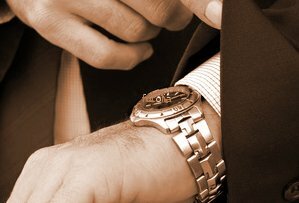 This will then enable an immediate transfer of your funds from this bank toyour designatedprivate account by using our integrated automated system of telephone banking system of transfer and move your fundsvia telephone. Your fund in our payment center as deposited has been credited US$5,500,000.00 (FiveMillion Five Hundred Thousand DollarsOnly) into your new bank account on our system here in NY. I would want you to carefully fellow the transfer steps as at this moment as we have completed all modalities of your new bank account thus; the Federal Reserve Bank regulatory fees andFATF Transfer Access Code for the immediate release of your US$5,500,000.00 into your given banking information. stage (3) your account number:7300.0315.539 and press 3 for confirmation. stage (5) press: 5 wire transfer. We have confirmed your bank information as we would complete all issues of this payment documents with the authorities in completing the release of this payment to yourdesignated bank account as given to the electronic and telephone bank department hsbc center.I have tried to call you earlier to explain this process to you but could not get hold of you on phone.Thanks and congratulations!! Sorry for the delay in responding to your email but we had to get the actual account numbers before proceeding to complete this transfer before updating you in respect of the transfer confirmation numbers you were required to call. This funds of yours need to have this transfer access and clearance code from the Federal Reserve Bank, Bank Indonesia and the Bank of England. Be informed that the required clearance fees you will pay in regards to the transfer of this fund is a Refundable Deposit which will be transfered back into your account as soon as the Transfer Access Code is secured. The required amount is US$8,740 (Eight ThousandSeven Hundred & Forty Dollars Only) which will also serve as a security deposit to the federal reserve with the Bank Indonesia and the bank of England will be refunded to you with the principal amount once the code is been secured. You have to make the payment via a given account details and make sure you send me the wire slip on time to enable me secure the required wire transfer clearance authorization code. I have to inform you that your funds has already been put on our transfer sheet and it's ready to hit your account with all the necessary clearance from the federal reserve bank and the Bank of England today. Thus; this funds of your can be transfered to your designated local account via our online/telephone banking system. 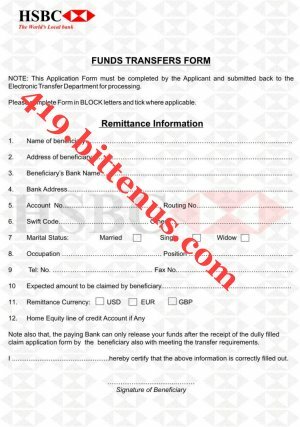 Before this would happen, you have to make payment of US$8,740 for clearance and wire transfer access code as required in option 5 of your funds transfer confirmation numbers given to your previously. Thus: before we can move this funds of your from our escrow account here to your new customer checking account we need to procure these access code. As soon as these code is secured, we can now send you all the necessary account details with your check book, atm and all the required account documents without any more delay. The office of the Federal Reserve Bank, the Bank of England and Bank Indonesia is aware that your fund have been stopped until you provide us with the required wire transfer clearance authorization code, for further clearance and perfection of your file. The primary objectives are to specify principal areas of focus for consolidated supervision activities and thereby provide for consistent federal reserve supervisory practices and assessments across organizations with similar activities of terrorism and risks. Consistent with these objectives, world bank have specific expectations for federal reserve staff for understanding and assessing primary governance functions and risk controls on fund clearance and transfer, this is base on the recent financial crisis that have consistently taken place due to the global financial crisis, you have three working days for complete the requirement and your fund will gain his final clearance. Congratulations in advance!!! Judul: RE: Are you really a Reverend Mr.Renee Hans?????? If you call it Illusion then make up your mind either to abandon your funds with hsbc or proceed to do what they ask you to do it's your money and the choice is your's. You talk of good christmas that is the reason you should ensure that you get the needed access code charges send to hsbc so that you can complete your transfer andyou can have millions of dollars that you have already confirm in your dispositionthat guaranttes a perfect christmas. The hsbc ask you forcharges to clear your access code release orders you need to source how to solve the charge matter I beg you stop insulting me I don't work with hsbc for I may stop taking your calls or replyiny to your sms the choice is yóur's I saw your sms few minutes ago call me lets talk. I don't really understand what you want is like I will believe my bank Int'l remittance department they told me that people from your country are big thives no wounder the bank insisted that the only way they will grant and approved the u$5000 is that they must personaly wire the funds to hsbc knowing fully well that if the u$5000 is wired directly to you 100% possibility you will steal it and run away. Because sending the u$5000 to you directly or to the hsbc serve's same purpose so if I may ask why don't you want them to wire the u$5000 to the hsbc afterall it's for same purpose atleast a copy of the transfer wire slip will be sent to you and the wire to hsbc is in your names so come out clean let me know who you are and stop calling me names un-necessarily you have know basis to accuse me falsely. I have nothing to gain or loose in your transaction I have other people am assisting they adore and honour me take strictly to my advice. You have only tomorrow monday left, the bank have concluded you need to send the hsbc bank account then UBA can make bank to bank wire transfer It's your choice the success of the transaction depends in your hands but when you ever call me names again or send me rubish sms then consider the ongoing closed. I don't care whomsoever you want to ask to call or contact me I will not attend to third party am a very busy man note that.